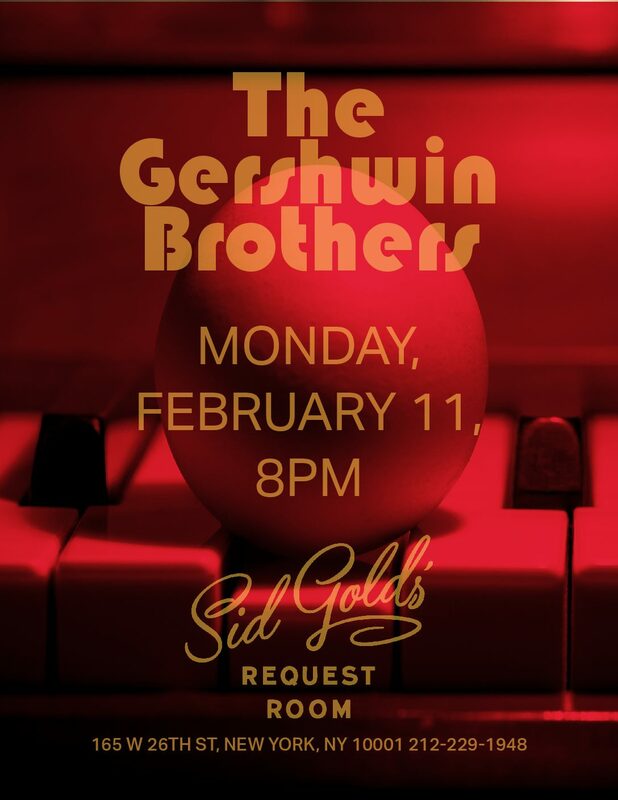 On Monday nights, Sid Gold’s presents original music shows. The songs of The Gershwin Brothers (Sol & Al), for many decades locked in a steamer trunk in a house in Connecticut, have been unearthed and brought to life by NYC pop songwriters Dave Foster and Lane Steinberg. Join them and the mighty Murderers’ Row for an intimate performance of these timeless soon-to-be classics.